Check this out! – It Works For Bobbi! Published on May 25, 2009 by Bobbi-Jo G.
Hi everyone – since I’m a total blog loser lately, I thought I’d help my friend Crissie at www.riches-of-my-soul.blogspot.com out with her goal – please read below and see if YOU can help! Sounds awesome! “My absolute FAVORITE photography resource, http://www.ClickinMoms.com, is offering a 10% off code for new members… I have honestly learned everything I need to know about photography by joining this amazing group. I’ve been a member for more than a year and their LOW subscription fee of $6 a month is the best investment I’ve made. Even with our finances as tight as they are, this is something I’m not parting with, simply because I learn SO much by reading through their forums. I hope that you’ll stop by and read what they’re all about and then consider joining me there! Don’t forget to enter the code FRIEND at checkout to receive your 10% discount. 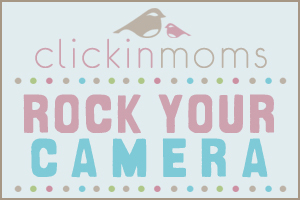 One more thing, be sure to visit the site through the “Rock Your Camera” link above so that my Clickin Moms account is credited with your visit. A little bit of shameless puppy-dog eyed begging here… They’re running a contest through the middle of June and I’m trying SO hard to reach my goal of 500 new members, which would earn me a new Canon Mark 5 and a slew of amazing gift cards which would be a HUGE blessing to our family. Of course, I would promptly trade the Canon for a new Nikon!!!!! Even if you’re not interested in joining, if you’re able to pass along the link and help me reach my goal, I would be forever indebted. So, if you want to check out this Clickinmom’s site, go sign up and help out a friend at the same time! Good luck, Crissie!! Previous Come and see – I know you want to! Next 365 updated and lil ol’ me.